Today the Saint Louis Zoo was chosen as the top winner in the “Best Zoo” category of the 10Best Readers’ Choice Awards contest sponsored by USA Today. Whooo-hoo! Our awesome zoo was among 20 nominations hand-picked by a panel of zoo and family travel experts. 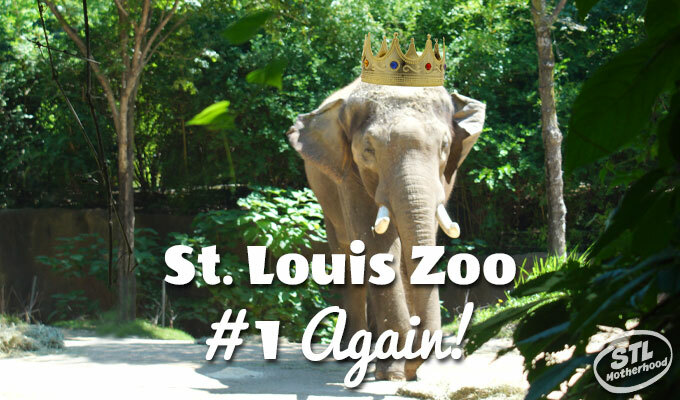 The Saint Louis Zoo was chosen as Best Zoo in the 10Best Readers’ Choice Awards contest sponsored by USA Today! So who else was on the list? 5. Riverbanks Zoo & Garden – Columbia, S.C.
One of the best things about our zoo is that all that awesomeness can be yours for FREE. 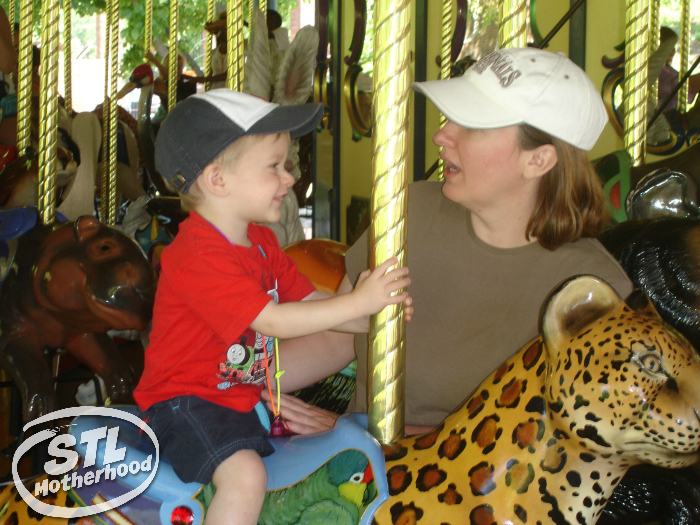 We support the Saint Louis Zoo with taxes here in St. Louis City and County–so go visit your zoo! You paid for it, go enjoy it! And if you’re from out of town? We love visitors! Come enjoy our hospitality! Seriously! 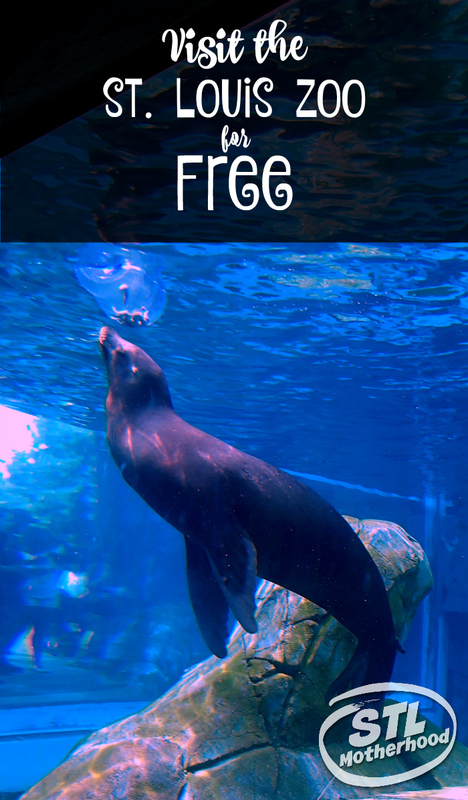 Of course, there’s a few extras that will make your visit more fun, like easy parking in the zoo lot (street parking–totally free), visiting the Children’s Zoo, riding the train and see the sea lions. 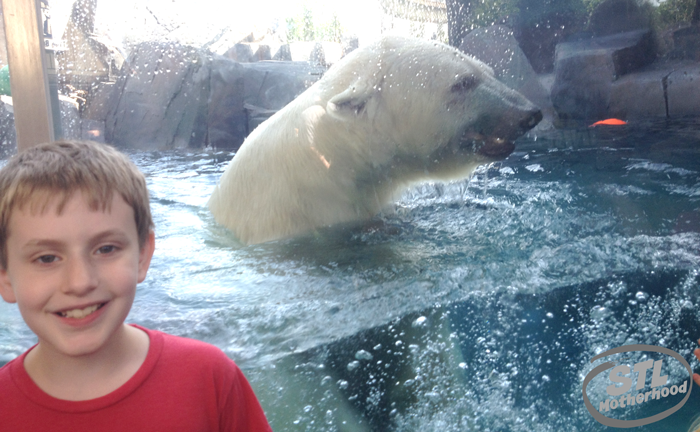 Here’s my top tips on how to get the most bang for your buck when visiting the Saint Louis Zoo. So who’s going to the best zoo in the country this weekend? Want MORE awesome places to take the kids? Here’s 13 Amazing Free Places to Play in St. Louis!